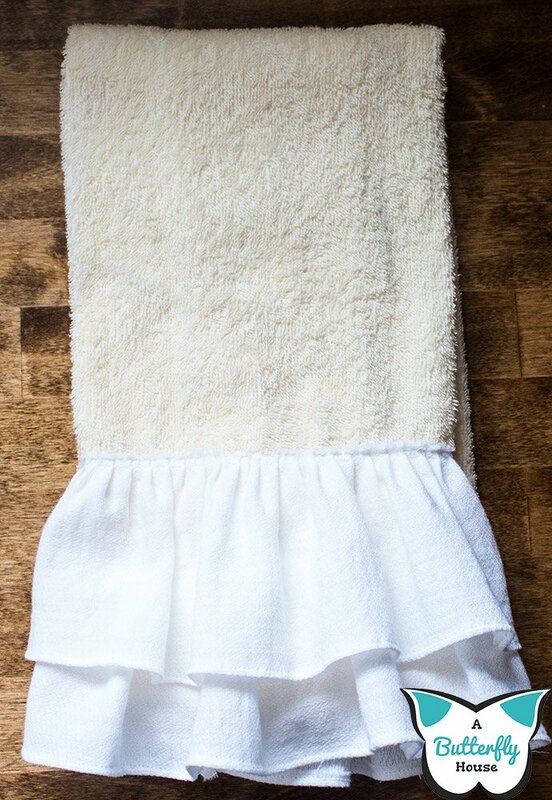 Lets talk about towels. I have one rule about towels: they must be absorbent. You know what I'm talking about, right? You go into the bathroom to wash your hands, try to dry them on the nearest towel, and absolutely nothing happens because that towel is one of the cutesy ones that doesn't absorb anything. If you're in the house of a sane person, you might be able to turn around and find another, more absorbent towel nearby. Otherwise, you stand there shaking water off your hands and cursing this person who thought decor towels were a good idea. This happens to other people too, right? Not just me?? So obviously, when planning out my kitchen, I wanted my kitchen towels to be absorbent. None of this decor towel crap. But I wanted my towels to be pretty too, because the were going to be on display and all. 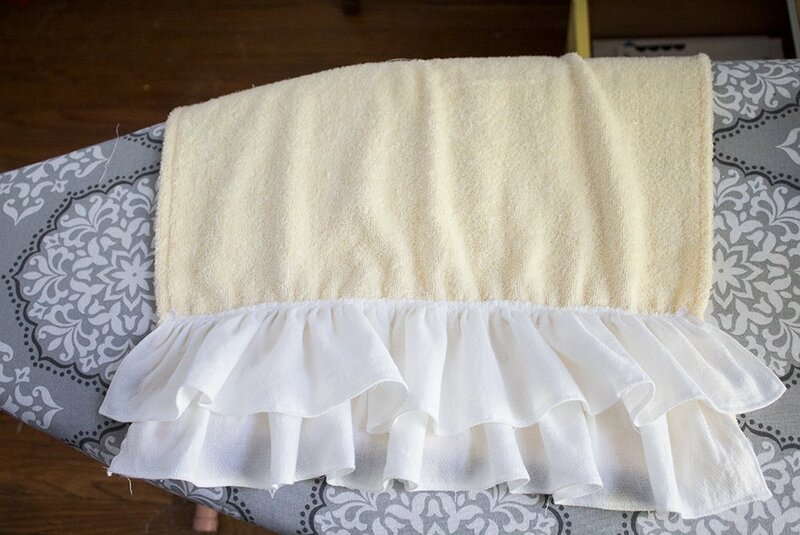 Since I am immediately distrustful of any decor towel actually being functional, I decided to make my own! 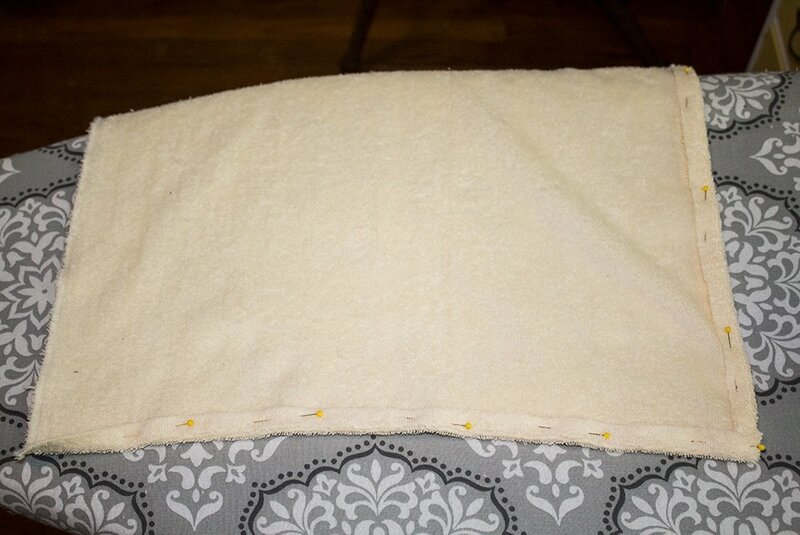 - 1 Yard Terrycloth Fabric- I used Joann Fabric's "Vanilla" color, which was more yellow than cream. They also have a "yellow" color, but I decided the lighter vanilla color was more what I was looking for. 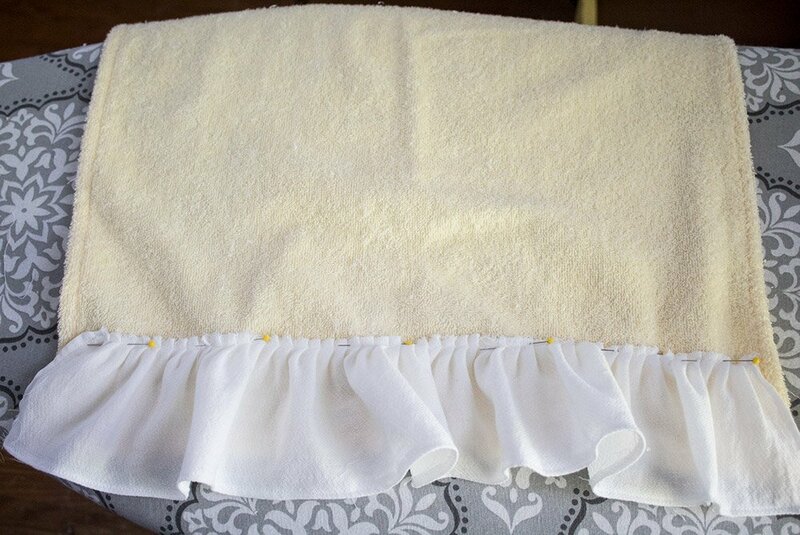 - 1 Yard Diper Cloth Utility Fabric - I used this to make my ruffles, and it is only available in white. I'm sure if you wanted a different color, or even a pattern, other fabrics would work just as well. - Ruffler Foot- I don't know much about sewing machines, or really, sewing in general. However, in this project I learned there are two types of sewing machines; high shank and low shank. I don't know what that is, but I do know that you have to get the type of Ruffler Foot that matches your machine. Do your research on what machine you have! Mine is a low-shank Brother machine, and this Singer Rufffler Foot worked perfectly! 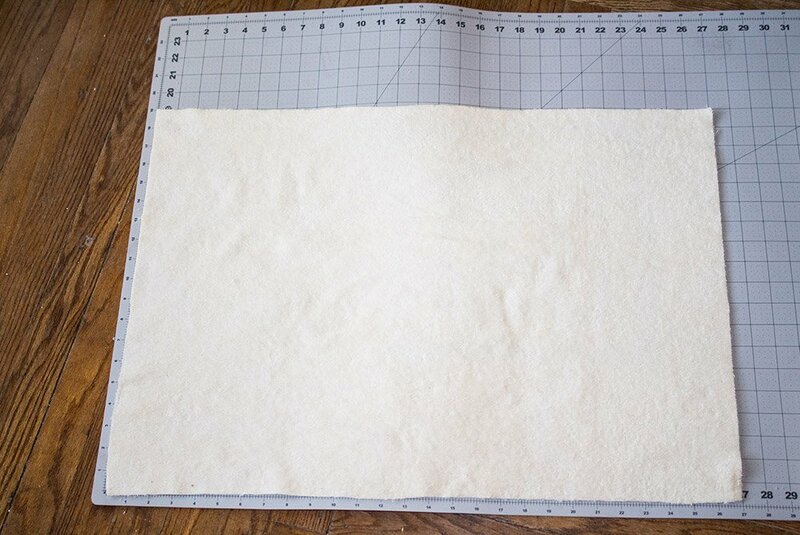 I cut my terry cloth fabric to be 27" by 19" in order to make a towel that had a final size of 26" x 19". If you were curious, I measured a dishtowel I already had to figure out what size my final towel should be! 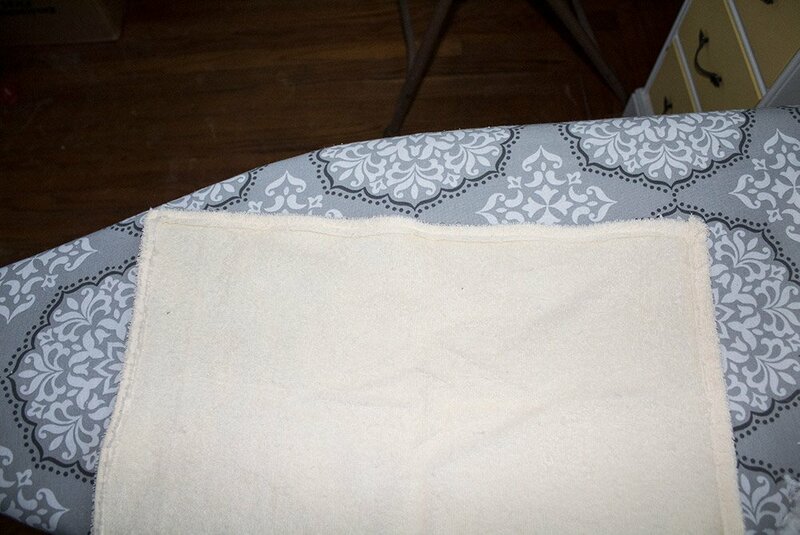 Then I pinned and pressed my fabric along all edges to have a 1/2" hem. I have no idea why pressing is necessary, since you're about to sew the fabric, but that's what all the knowledgable sewing people seem to do, so like a good follower, I pressed my fabric first. You can barely see my seams in the above photo.. but they're there, I promise! Full disclosure: I spent about an hour figuring out the Ruffler Foot before starting to actually make my ruffles. I think I watched this video produced by Singer about six times. Additionally, I highly recommend you practice on some scrap fabric before you start. 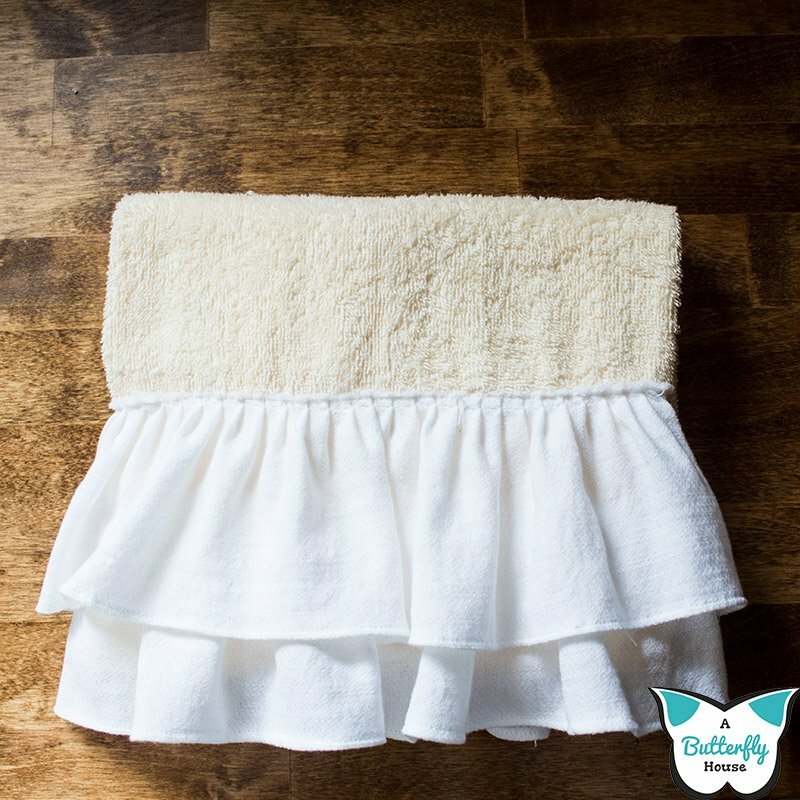 Practicing with scrap fabric not only helps you figure out how to use the Ruffler Foot, but allows you to decided what setting/how often you want the Ruffler Foot to ruffle. Other important note: be very careful when installing the Ruffler Foot to ensure your needle is aligned with the foot before you sew. I broke not one, but two needles when setting up, because the needle hit the metal part of the foot when it tried to sew. Oops. 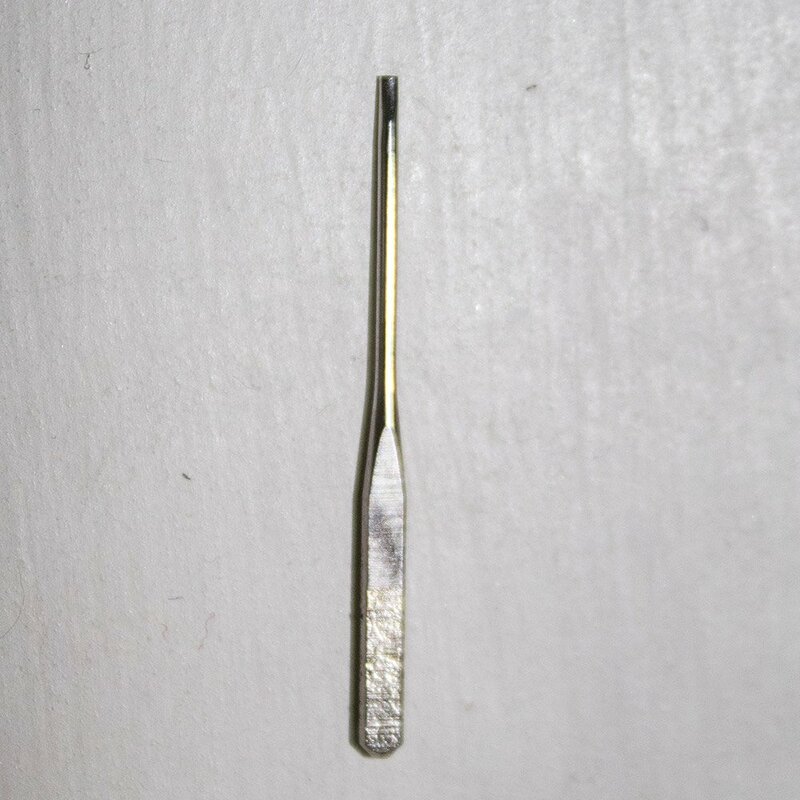 One of my sad, broken needles. 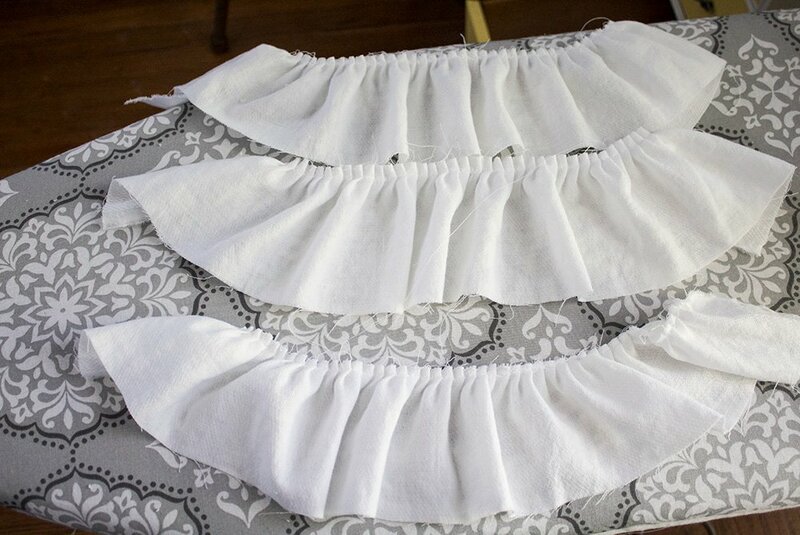 I cut my diper cloth into 4" wide strips, then Ruffled all the strips assembly line style using the sewing machine. I had the machine set to Ruffle every 6 stitches, however they appeared to be super small stitches because my fabric was so light. Keep that in mind if you're using different fabric! After ruffling, I hemmed the other three sides of each strip. In retrospect, I think I should have done this before ruffling, and hemmed all four sides to help prevent the ruffled portion from unraveling. 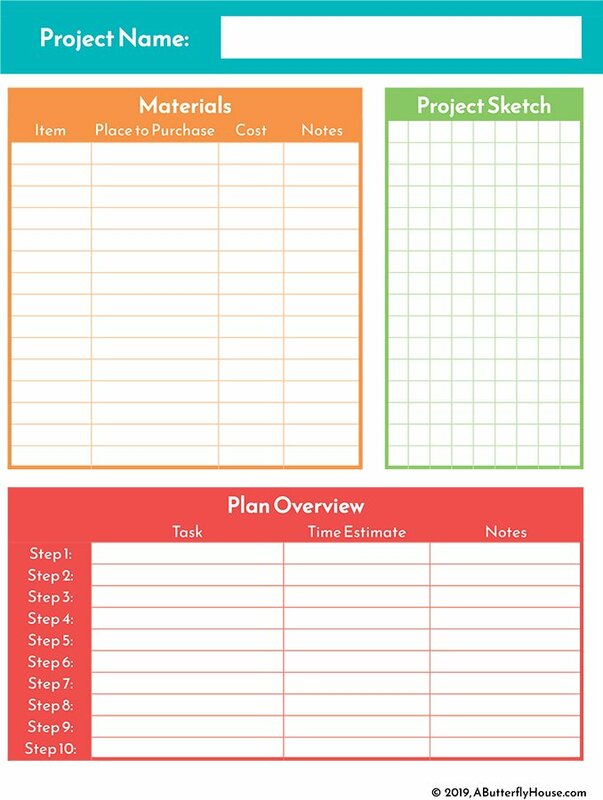 If you do this project and hem first, let me know how it goes! 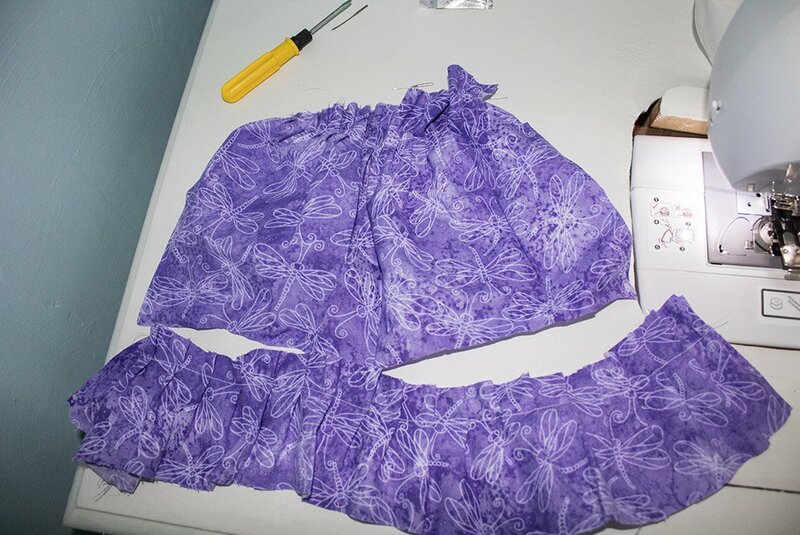 I pinned the ruffled fabric to the towel, testing and moving the fabric around until I liked the spacing of the ruffles. 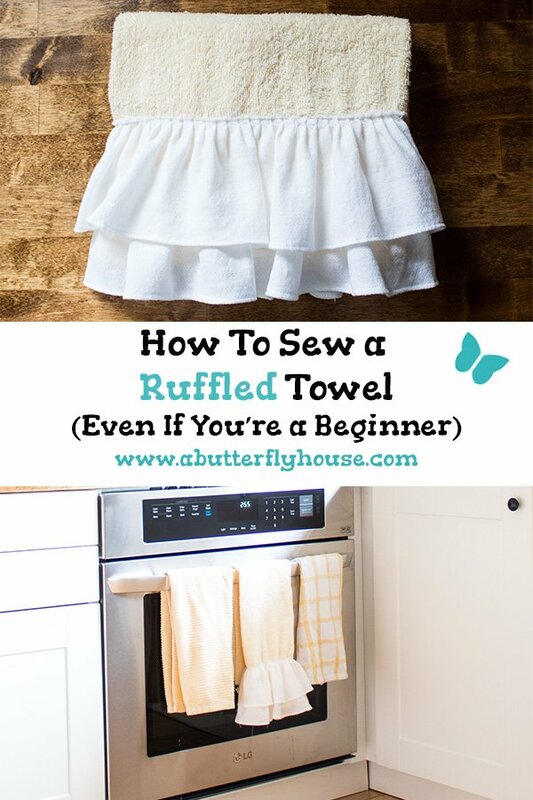 Note that this ruffle is a little short; it doesn't span the full length of the towel. That's okay, since I'll put a longer piece on top of it, so the short ends won't be seen. Think you might make this? Save it to Pinterest! 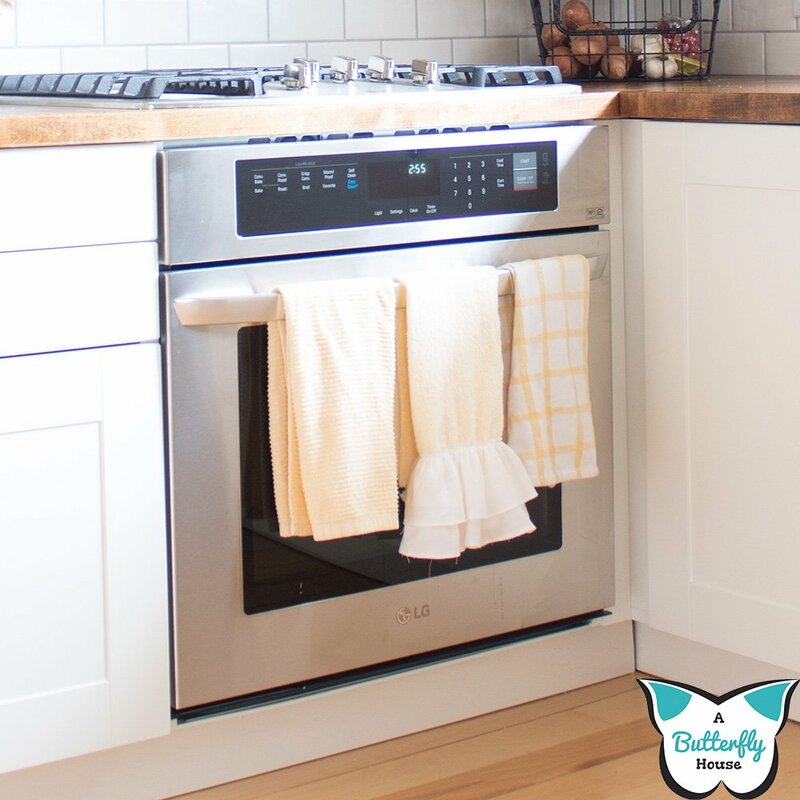 Want to see the rest of my kitchen remodel? 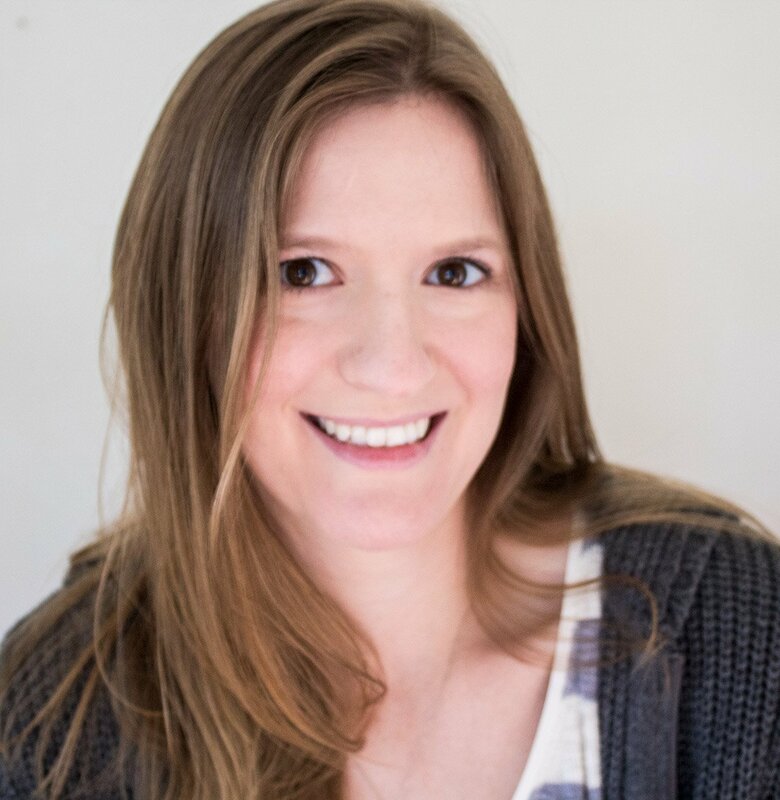 Follow me on Pinterest and Instagram!